The Creative Team have been working across our Community Clubs to support Young People to complete their Arts Award qualification. The Arts Award is a nationally recognised achievement which acts as a frame work for creative projects. The young artists’ get the opportunity to try new arts skills, experience the arts in person, learn about artists and arts organisations as well as sharing an art skill with others. The award works around the individual so they can choose what art forms they would like to explore and practices they would like to reflect on. Across our courses we have been trying Animation, Textile Design, Spray Painting, Lino Printing and T-Shirt designs as well as visiting the local Apple Store to try coding and technical drawing. Several of our groups have also been visiting their local care homes to run creative art sessions as well as learning about artists who are still working into old age. We are delighted to have the opportunity to run the Arts Award as part of the Creative Programme. Not only does it celebrate the artistic achievements of the young people but because if the flexible learning it is an achievable award which they can build upon if they so wish. 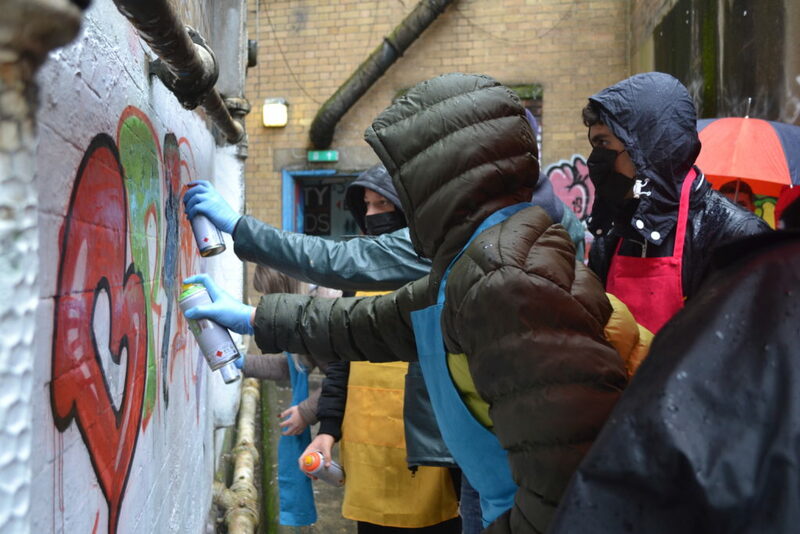 Starting from this Spring we are looking forward to hosting more creative sessions in both North and South Bristol supporting young people to achieve their Arts Award. Keep an eye on our social media for updates of times/locations. To find out more about our Creative Programme please email us on creative@youngbristol.com or call us on 0117 929 2513. Previous Post The Bristol Life Awards Next Post Easter Holiday Outdoor Activities are now live!